The Three-Body trilogy by New York Times bestseller Cixin Liu keeps you riveted with high-octane action, political intrigue, and unexpected twists in this saga of first contact with the extraterrestrial Trisolaris. The Three-Body Problem — An alien civilization on the brink of destruction captures the signal and plans to invade Earth. Meanwhile, on Earth, different camps start forming, planning to either welcome the superior beings and help them take over a world seen as corrupt, or to fight against the invasion. The Dark Forest — In The Dark Forest, the aliens' human collaborators may have been defeated, but the presence of the sophons, the subatomic particles that allow Trisolaris instant access to all human information remains. Humanity responds with the Wallfacer Project, a daring plan that grants four men enormous resources to design secret strategies, hidden through deceit and misdirection from Earth and Trisolaris alike. Three of the Wallfacers are influential statesmen and scientists, but the fourth is a total unknown. Luo Ji, an unambitious Chinese astronomer and sociologist, is baffled by his new status. All he knows is that he's the one Wallfacer that Trisolaris wants dead. Death’s End — Half a century after the Doomsday Battle, Cheng Xin, an aerospace engineer from the early 21st century, awakens from hibernation in this new age. She brings with her knowledge of a long-forgotten program dating from the beginning of the Trisolar Crisis, and her very presence may upset the delicate balance between two worlds. Will humanity reach for the stars or die in its cradle? Author bio: CIXIN LIU is the most prolific and popular science fiction writer in the People's Republic of China. Liu is a winner of the Hugo Award, an eight-time winner of the Galaxy Award (the Chinese Hugo), and a winner of the Chinese Nebula Award. 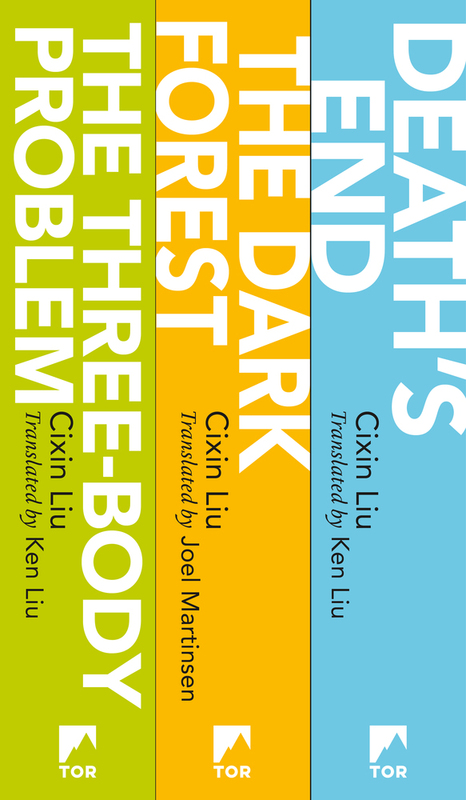 He is the author of The Three-Body Problem, The Dark Forest, Death's End, and other books. KEN LIU (translator) translated the Hugo-winning The Three-Body Problem and edited Invisible Planets, the first English-language anthology of Chinese SF from the 21st century. A winner of the Nebula, Hugo, and World Fantasy awards for his own original fiction, he is the author of the Dandelion Dynasty series of silkpunk epic fantasy novels (The Grace of Kings and The Wall of Storms) as well as The Paper Menagerie and Other Stories, a collection. JOEL MARTINSEN (translator) is the managing editor of Danwei.org, a blog about Chinese media. His translation of an excerpt of Cixin Liu's Ball Lightning appeared in Words Without Borders.